Wisconsin neon underglow usage is governed by the state's Code. All relevant laws, rules and regulations pertaining to vehicle lighting including car underglow in Wisconsin have been provided below. Make sure to examine the regulations carefully and do not use any restricted lights. Usage of neon underglow lighting is governed by Wisconsin State Legislature, Chapter 347: Equipment of Vehicles, Subchapter 2: Lighting Equipment. Is neon underglow legal in Wisconsin? To stay completely within the law you may consider using red-colored underglow in the back, and white or amber on the front part of the car. We do not consider those regulations relevant for underglow, but an over-eager officer may fine you regardless. Blue lights are explicitly prohibited, but we also strongly suggest avoiding red color as well as not to be mistaken for an emergency vehicle. State of WI does additionally make specific exceptions for motorcycles, where underbody glow is permitted as long as the colors are not blue, red or amber. Additionally the lights may not flash, rotate or oscillate in any way. There are no relevant WI laws which specifically restrict or prohibit installing car underglow, meaning we consider it legal to use it while driving. Below are all relevant excerpts from Wisconsin Vehicle Code that limit, restrict or allow certain aftermarket lights to be installed on vehicles. (3) Nothing in this chapter shall be construed to prohibit the use of additional parts and accessories on any vehicle not inconsistent with this chapter. This provision is important to notice as it essentially permits using additional aftermarket lighting devices as long as they’re not in violation of other provisions or regulations. 347.07 Special restrictions on lamps and the use thereof. 347.13 Tail lamps and registration plate lamps. 347.25 Special warning lamps on vehicles. 347.26 Restrictions on certain optional lighting equipment. [...] (11) Flashing warning lamps. As per Article 347.30 violating vehicle lighting regulations is punishable by a $10-$200 fine. 347.30 Penalty for violating lighting equipment requirements. (1) Any person violating s. 347.06 or 347.13 (2), (3) or (4) may be required to forfeit not less than $10 nor more than $20 for the first offense and not less than $25 nor more than $50 for the 2nd or subsequent conviction within a year. (2) Any person violating ss. 347.03, 347.07 to 347.12, 347.13 (1) or 347.14 to 347.29 may be required to forfeit not less than $10 nor more than $200. Our information about car neon underglow laws in Wisconsin was last updated in 2018 and checked in 2019. In case any info we provided is not up to date or correct be sure to contact us so we can revise it. Thank you! Check our data with your local law enforcement or other relevant agencies! 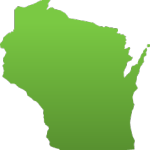 Wisconsin underglow laws in certain cities or counties may be different from state legislation. While we do our very best to provide the most accurate information about LED and neon street glow usage we will not be held liable for any potentially incorrect or misinterpreted info. Wisconsin Vehicle Code, Chapter 347: Equipment of Vehicles, Subchapter 2: Lighting Equipment. Have questions about traffic or neon glow laws in Wisconsin?